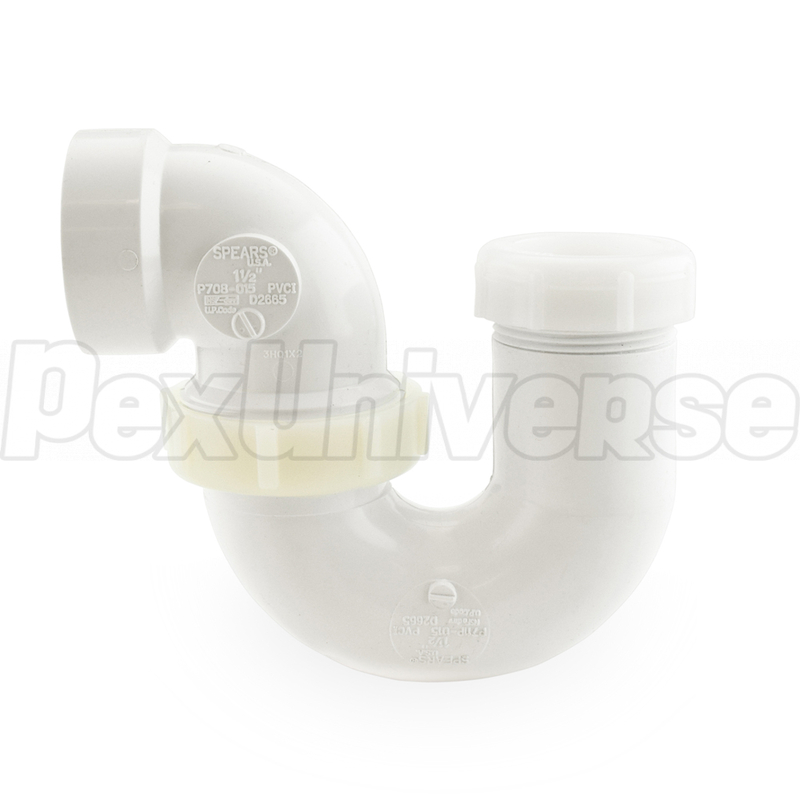 L.A.-style P-trap with 1-1/2" PVC hub (socket) x 1-1/2" tubular connection. Tubular slip nut with built-in washer included. Compatible with brass and plastic tubular piping. 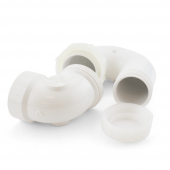 Plastic nut allows to adjust the P-trap to accommodate the installation.